I wonder what it’s like to spend time in Chad VanGaalen’s garage. The space has been described as “equal parts garage studio and wacky inventor’s laboratory,” which sounds about right. VanGaalen’s creative lair is cluttered with vintage gear (including his beloved Korg 770 monosynth) as well as homemade instruments, like a self-styled double-kalimba and an analog drum machine partly constructed from Legos. VanGaalen could, I suppose, do the conventional thing and decamp to a studio with some moderately recognizable producer name. But the oddly consistent and consistently odd Canadian songwriter prefers to operate in creative seclusion with an eight-track. On his sixth album Light Information, VanGaalen produced and performed every song in its entirety, with the exception of one bass part and some backing vocals from his daughters on the uncharacteristically peppy “Static Shape.” Out of this garage, he’s established a remarkably distinctive aesthetic that’s rickety and endearing, lo-fi and meticulous in equal measure. Light Information sounds gloriously scruffy. Snares rattle. Guitars feedback (“Mystery Elementals”) and drift in and out of tune. There is often a layer of whirring mechanical noise, as at the start of “Host Body.” (“Broken Bell” opens with what sounds like a machine’s approximation of a wave crashing to shore.) At the center of it all is VanGaalen, with his odd, quivering voice and often morbid visions. This album is more aggressive than 2014’s country-inspired Shrink Dust, but it shares the sense of world weariness. On Light Information, VanGaalen is often preoccupied with aging and with the body’s mutation and decline, both real and imagined. (The record, VanGaalen says in a press release, is about “not feeling comfortable with really anything.”) The cacophonous “Host Body” indulges a nightmarish vision of “parasitic demons” who “can eat me from the inside out / I already hear them chewing.” “Old Heads,” a hooky highlight, imagines what it might be like to have a head that constantly replaces itself. During the melodic climax, VanGaalen asks, “Who is the operator / Keeping all my cells together,” like an old man demanding to know what’s keeping his body still together. VanGaalen is very good at making eccentric, homespun indie-rock records, and with Light Information he has made yet another. 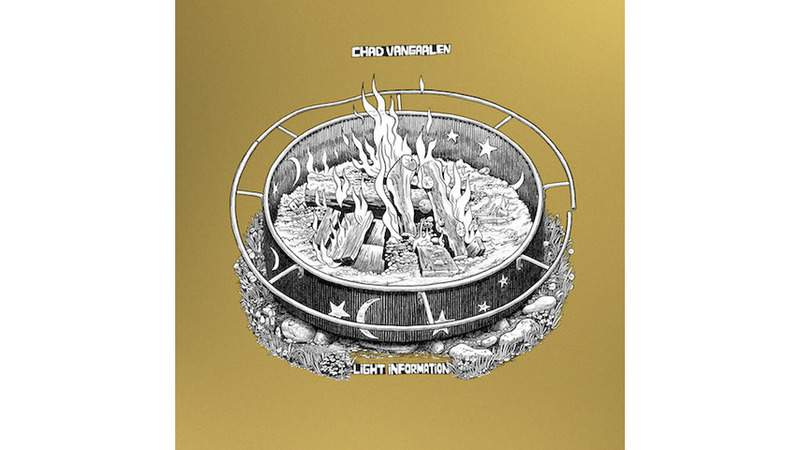 “Broken Bell,” a dirge-like ballad that builds to a squawking feedback solo, contains the album’s weightiest couplet: “I sit and do a drawing, a portrait of my dad / I should really visit him before he is dead.” The brief lyric hints at so many of VanGaalen’s longstanding thematic obsessions: visual art, family, impending mortality. With any luck, he’ll get the dad in the garage studio for a guest vocal.